There is always that one last present to get, regardless of how prepared we believe we are, there will always be at least one last item we'd love to gift someone. Throughout the years it has been proven that the men in my family will usually be the ones doing the last minute panic buying but that's not always the case as I find myself in the same boat this year, despite my best efforts! Last minute gift buying can be tough and buying for women, though we believe it to be easy, maybe isn't as straight forward as we'd like to think. I've been married for almost 10 years now and I'm lucky that there have been very few bad gifts. I know it's not polite to talk about bad gifts - it's poor form because at the end of the day there is usually thought behind those presents. For instance, my husband, on our first Christmas together, thought he was doing a really sweet thing in buying me a pink electric razor for shaving my legs (because I had mentioned I hated disposables)... These things can happen which is why we have a solid system in place. Stick. To. The. Basics. Do this and you really can't go wrong. Of course, there may be instances where you've asked outright if there is something someone is hoping for at Christmas. Hallelujah in that case, your work is done! If you're anything like me though you will probably still want to get what I refer to as filler gifts, the gifts that the person maybe isn't expecting. They mightn't cost much but they're great to unwrap and admire! The first gift I'd recommend for her is a scented candle. Granted, there are women who don't like scented candles and if this is the case they'll have told you that in some way but for a large proportion of us, scented candles are the epitome of luxury. They're what we'd love to be treating ourselves to all the time but find the cost hard to justify. 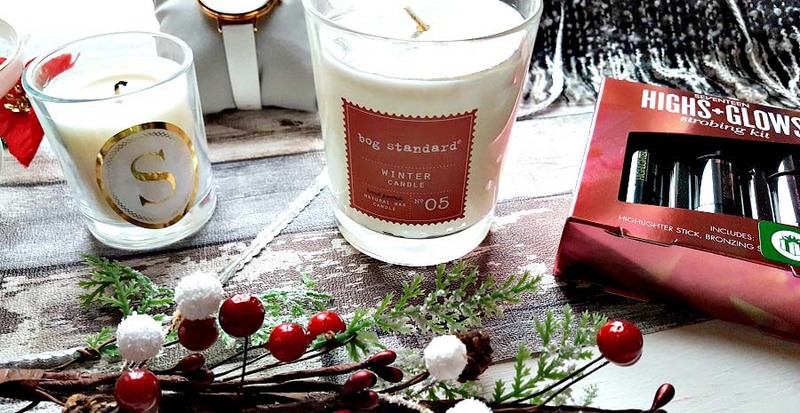 There are still plenty of scented candle options to get your hands on, I'd thoroughly recommend Bog Standard, made in Ireland and packed full of lasting scent. I was recently sent their Winter Candle and although this is now out of stock online they have some stunning options that I had the pleasure of sniffing through on my recent visit to McAuley's in Ballymoney. My picks and suggestions would be Linen, Moss and Clover. All really beautiful fragrances and without a doubt a brand worth looking out for in any local stores. I've also recently enjoyed my Alphabet Candle Votive from Bombay Duck London, who are another brand I fell in love with over the course of this last year. Bombay Duck are still taking orders for Christmas deliveries and their site is packed full of gift-able present ideas. 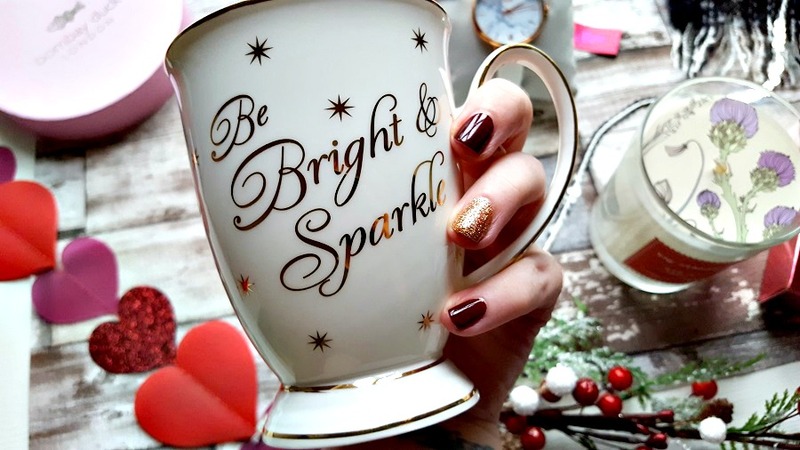 We all know someone who loves a fancy mug and there are many to choose from, plus I can vouch from personal birthday gift receiving experience, these are special to open because they come presented in a stunning pink round giftbox with gold lettering. There are many other options for last minute gifts that you don't need to overthink, a pretty notebook is always a good bet, a cosy scarf will never go unused especially if it's super soft and little beauty gift sets will always be appreciated. If you have found yourself in a tizzy over a last minute star gift, you were going to go for some kind of jewellery or accessory but that can be it's own minefield so you're stuck... A watch is the perfect answer. A watch is one of those gifts that, whether the recipient wears it daily or just on special occasions, you can know that it will be treasured. 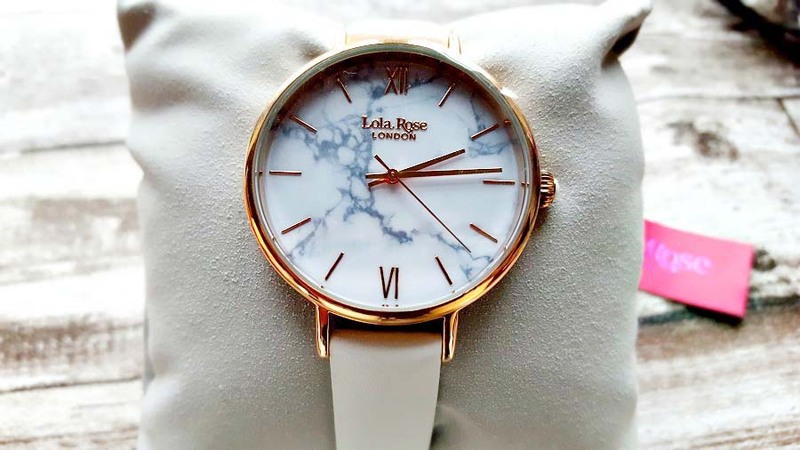 Another brand I recently discovered is Lola Rose London, a stunning collection of watches beyond any I've seen before. Perfectly crafted for modern instagram lovers and the like, these are something seriously special. Luckily, they seem to be a brand well stocked in the likes of John Lewis and a fair few independent Jewellers. This particular one is called their White Magnesite Stone Face Watch and I was so incredibly overwhelmed to have been gifted it recently by Anne Shiels Jewellers in Ballymoney so I know for a fact they have a great range displayed in store as well as other brands. If you do give the gift of a watch this Christmas, why not make a date with that person to have it engraved as well? It's hard to beat a personalised message. Whatever the last minute gift is that you're running around panicking over, stop and breathe for a moment and remember, a gift given with heartfelt thought is almost always well received!